Area initially purchased for park purposes from H. Milton Ludlow in October, 1943 and in July, 1945. Site was formally the Ludlow Apple Orchard. In 1961, a property exchange occurred, between the city and Charlotte and Albeit Anderson, to provide additional land for the purpose of Well Site #9. The well was later abandoned and the property became part of the park. In 1963, a property exchange occurred between the city and James W. & Dorothy A. Kinsman, that resulted in the present park configuration. The park was named by the Senior class of 1976 in honor of the United States Bicentennial. 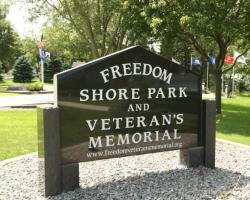 The park was again renamed in 2007 upon completion of a veterans memorial to honor past and present veterans of Nobles County. 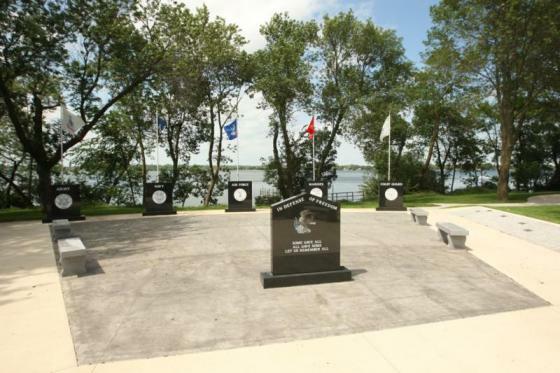 The Veteran's Memorial - A beautifully designed memorial to honor past and present veterans of Nobles County. 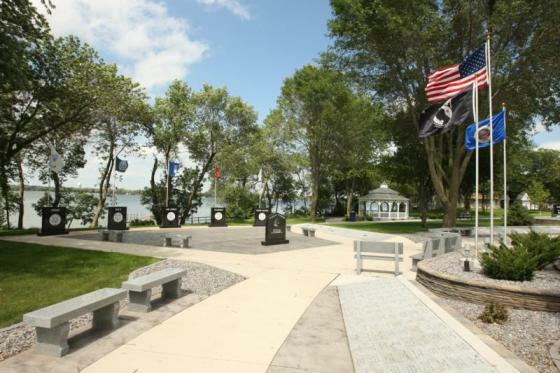 The memorial consists of colored paver beds containing granite pavers engraved with the veteran's branch of service, name and conflict. 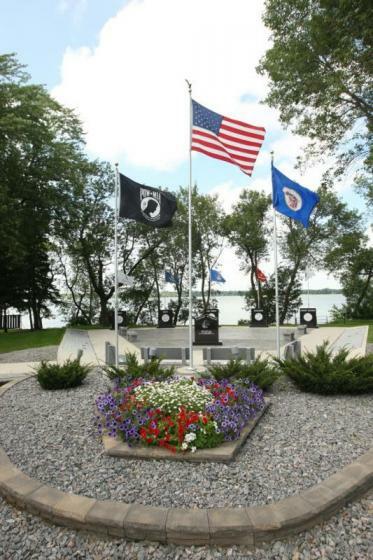 The four branches of service are recognized with the appropriate lighted flag and engraved emblem upon a granite monument. No water or electricity available. 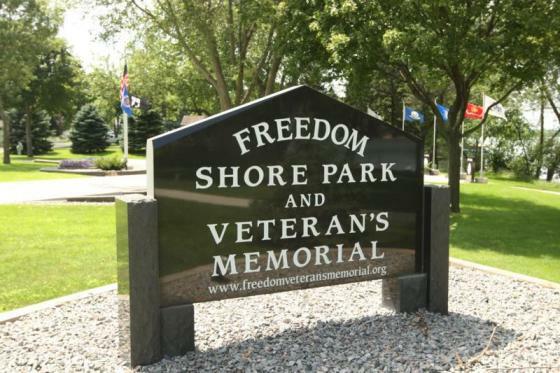 The Veteran's Memorial Committee has committed to the install of a sprinkler system within the entire park and to construct a new gazebo during the 2008 construction season.